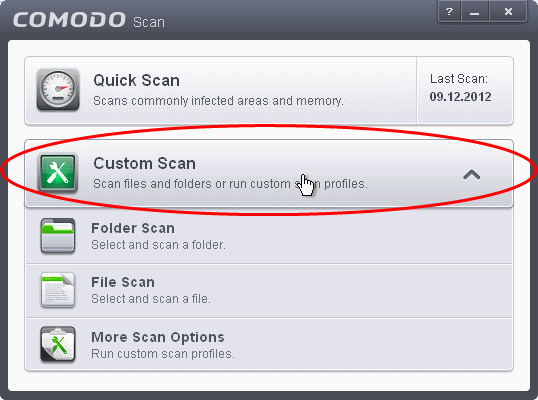 Comodo Antivirus allows you to create custom scan profiles to scan specific areas, drives, folders or files in your computer. The 'Custom Scan' panel contains the following scan options. Click the links to jump to the help page for that topic.